In the third chapter of Galatians, Paul stated “the law is not of faith.” We’ve progressed to Galatians chapter 5, where the apostle attempts to encourage these people to avoid the pitfall of going from the freedom of grace back into the law of works. They had been bewitched and deceived into another gospel that really wasn’t the gospel at all. If they were going to choose the system of written commandments (such as circumcision), they would be obligated to keep the entire law - all 613 commands. 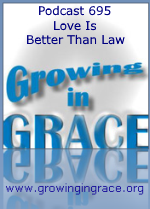 Those who were attempting to be justified by law (works) had fallen from grace. Paul went on to admonish not to use their freedom as an opportunity for the flesh. So how does one walk in the Spirit and avoid the desire of the flesh? 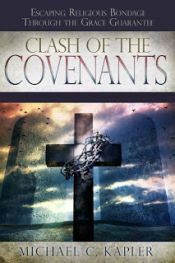 It’s done apart from the law of works and it’s rooted in the perfect love of God which was manifested through Jesus Christ… this is where we abide as believers inside of a New Covenant.